7 Thai Herbal Drinks: Re-energize the natural way! If you’ve tried some Thai herbal drinks, you know that all of them are the edible liquid versions of a refresh button. And the best energy boosters against Thailand’s heat. Actually, that’s not all Thai herbal drinks have to offer. Each one is packed with a variety of health benefits from cleansing, energy boosting, enhancing body systems, saving skin and hair, and more. Time to raise your glass and say cheers to your health! This five-pointed maroon-ish red flower is rich in Vitamin C – a herbal soldier against mouth ulcer and bleeding gum. Roselle is also known as fever and cough reducer, and constipation remedy. 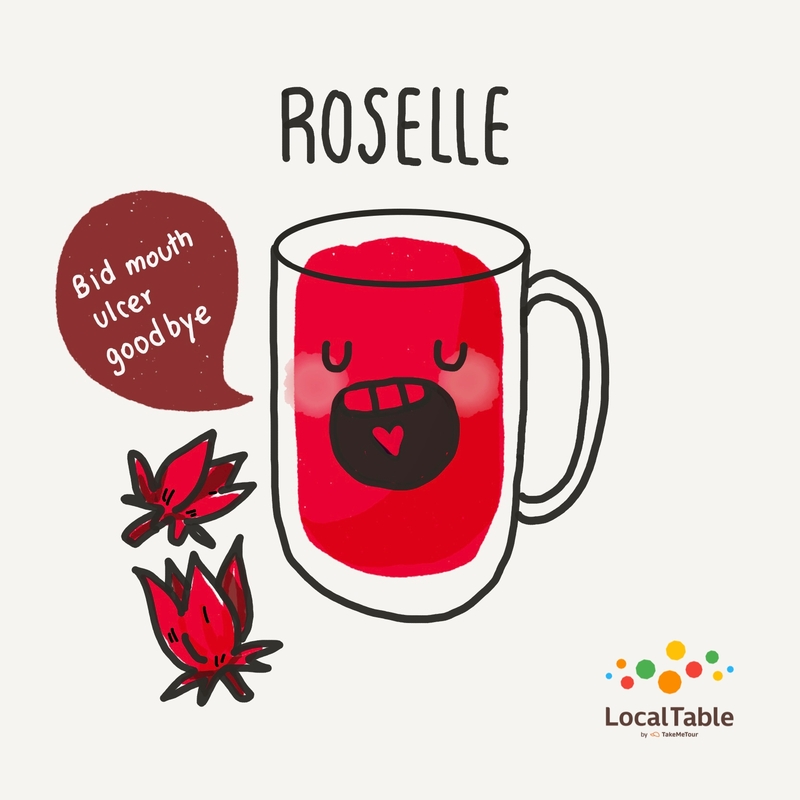 However, too much of roselle can cause you more toilet trips than you’d like. 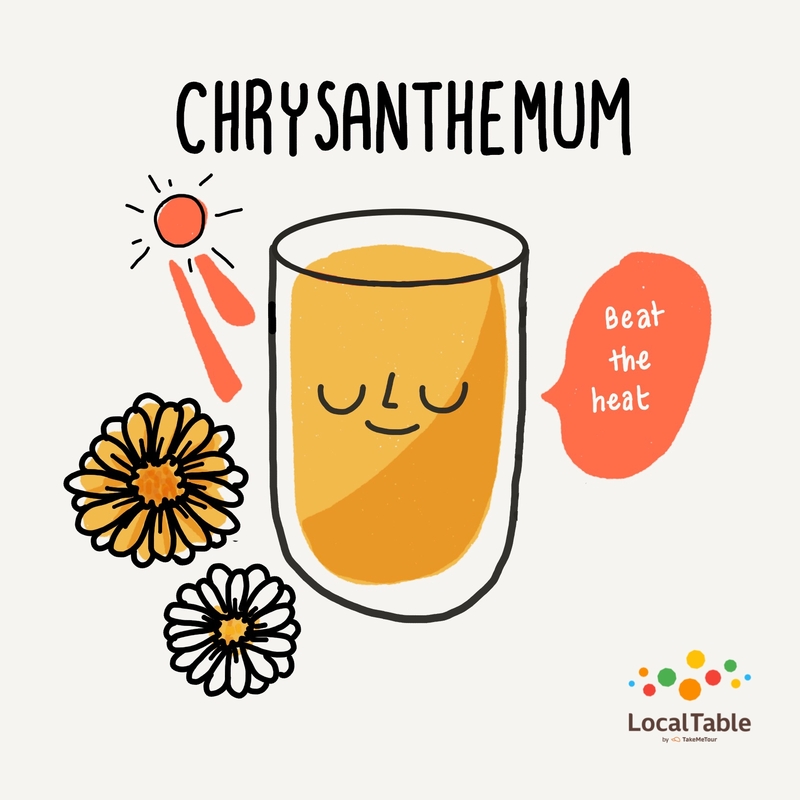 Chrysanthemum is a cooling herb that helps you beat not just the heat, but the mouth ulcer as well. 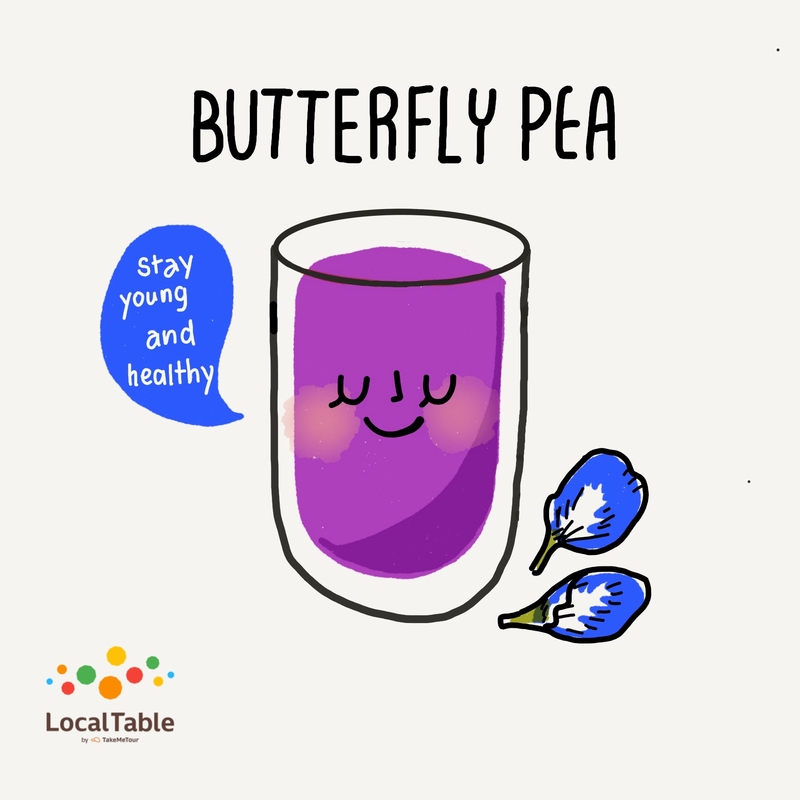 It smoothes your digestion and enhances your blood flow. The orange-colored drink is a little rarer to come by in general restaurants. 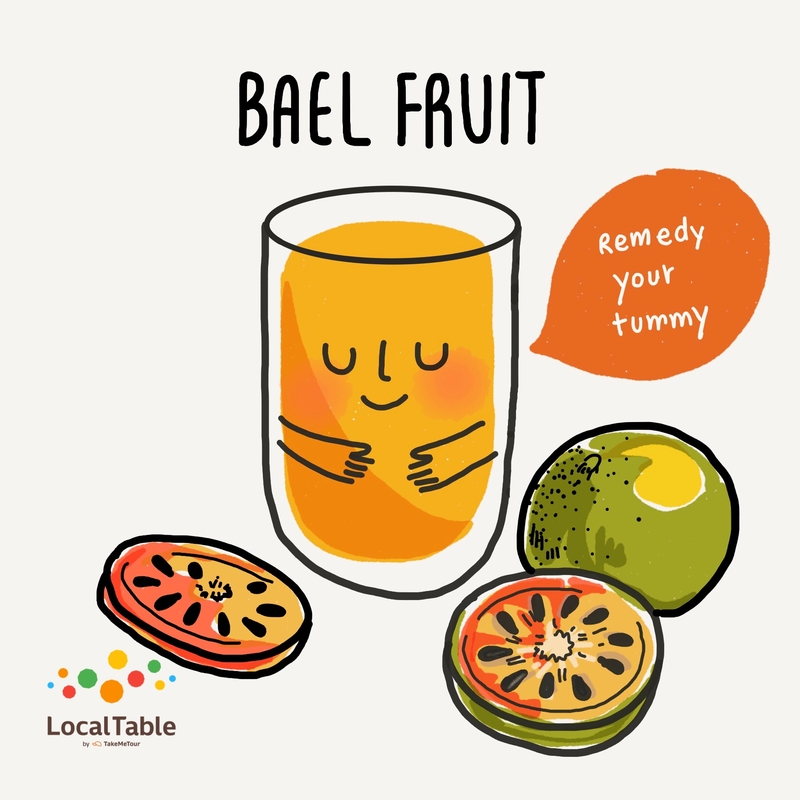 However, some hotels might welcome you with a glass of iced Bael Fruit drink to freshen you up from long haul flight. This musky fruit cures diarrhea, reduces blood sugar and eases the mind. This is also why many Buddhists make Offering Water (Pana) from Bael Fruit for the monks. There’s no need to introduce this best-loved green leaf, as it’s in practically almost every Thai dessert. 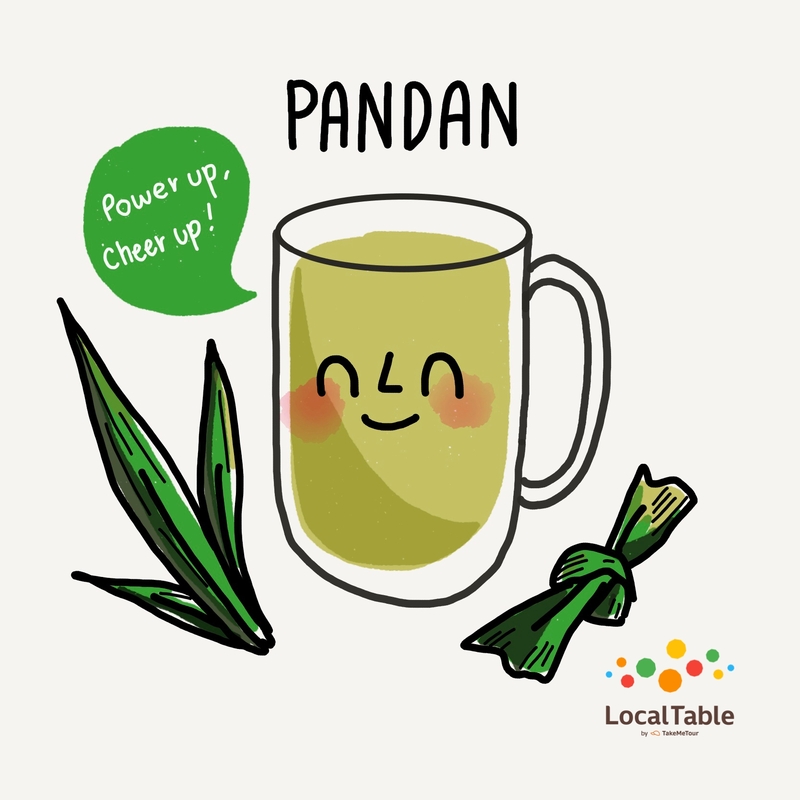 In addition to the tantalizing aroma, pandan is a great energy booster and an ally to your heart and blood vessel. You might have seen these long piney-scented sticks in Tom Yum Kung or other Thai dishes, but did you know they are drinkable? 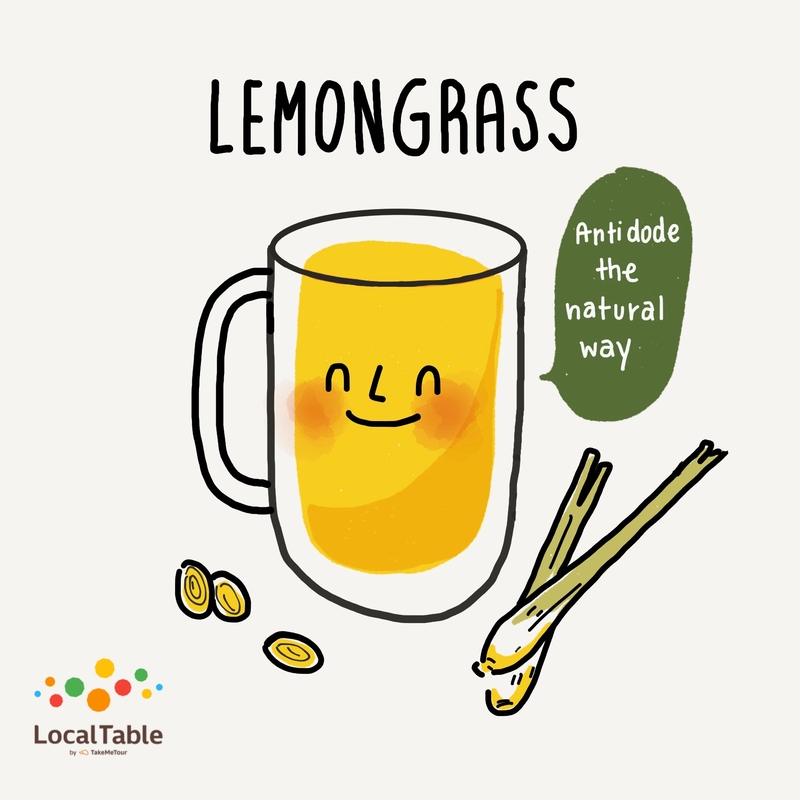 Lemongrass is a great toxin relief, thus helping reduce bad breath and boosting blood flow during period. 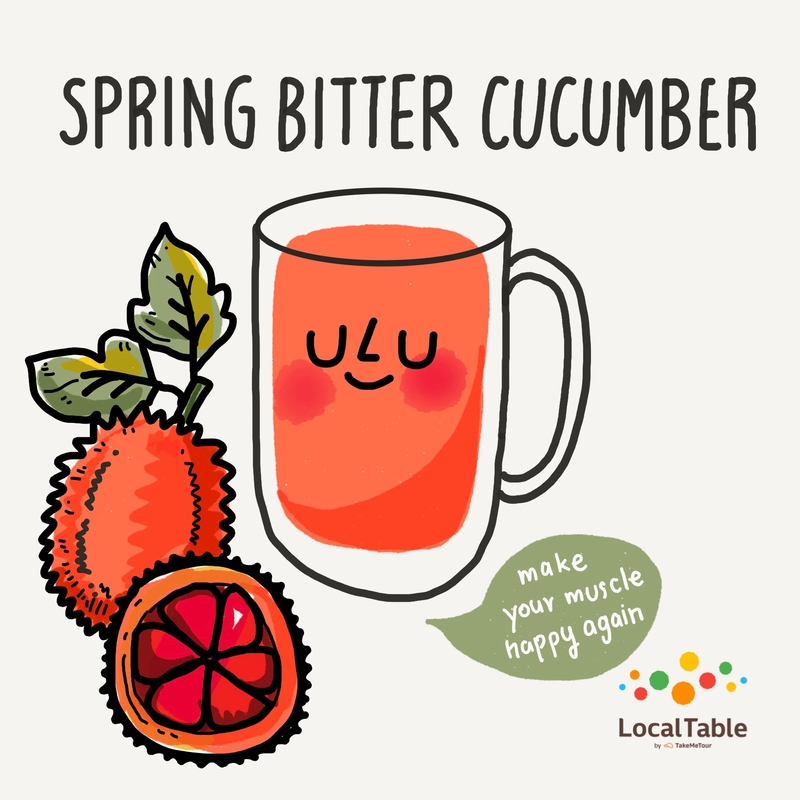 Called Fak Khao (literally ‘rice gourd’) in Thai, Spring Bitter Cucumber Drink (aka Gac Drink or Baby Jackfruit Drink) tastes far from bitter. This rough-skinned orange plant is among the queens of herbs. A tasty treat for your sore muscles from roaming Bangkok in the heat. Plus, the extremely high amount of beta-Carotene (10 times higher than carrot and 12 times higher than tomato) is good for your skin and eye health. This purplish blue beauty queen is generous enough to offer you some of her beauty benefits. The Anthocyanin helps your blood flow, thus smoothing your skin, silken your hair and clear your vision.